This is a very rare old Irish whisky (note the spelling without the 'e' in this case). 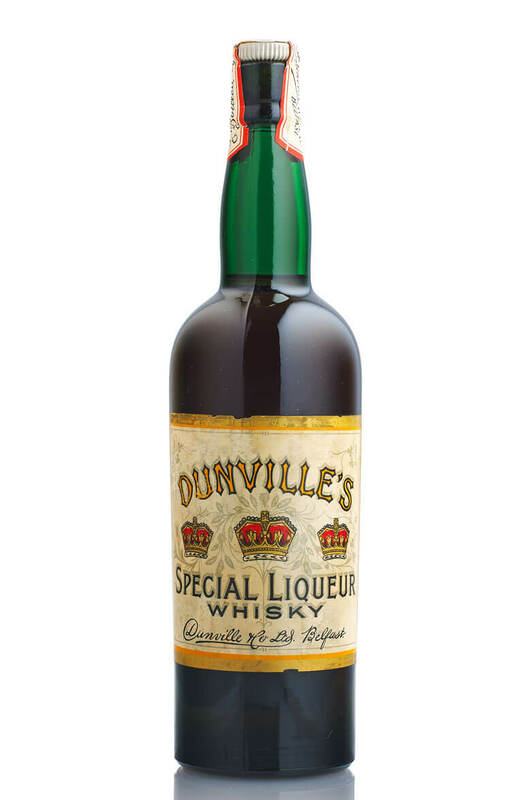 Dunvilles made their whisky at the Royal Irish Distillery which closed down shortly after World War II. When this was produced the term 'Liqueur' usually meant a whisky that was older and smoother than others. The fill level, closure and label at all in good condition. There is no content or alcohol statement on the label. A very welcome addition to the Dunville's Irish Whiskey range, the 12 Year Old PX Cask. Similar ..